The essence of Raksha Bandhan would be more accentuated when you gift this Delectable 18 Pcs Chocolate Box with Raksha Bandhan embellished with a free Rakhi, Roli Tilak and Chawal to your brother or cousin or any dearest person. 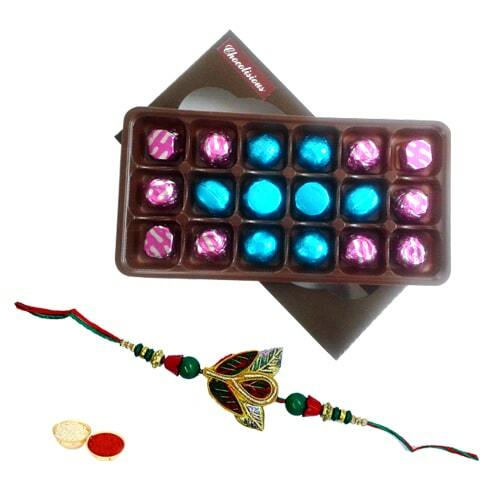 This loveliest gift of Rakhi and Chocos will sure to win the hearts of your loved ones on the special occasion. The pattern of Rakhi design may differ.